When you walk the streets of Oakland, there are eyes upon you. No, not pick-pockets or pick-up artists. Well, maybe some of those. 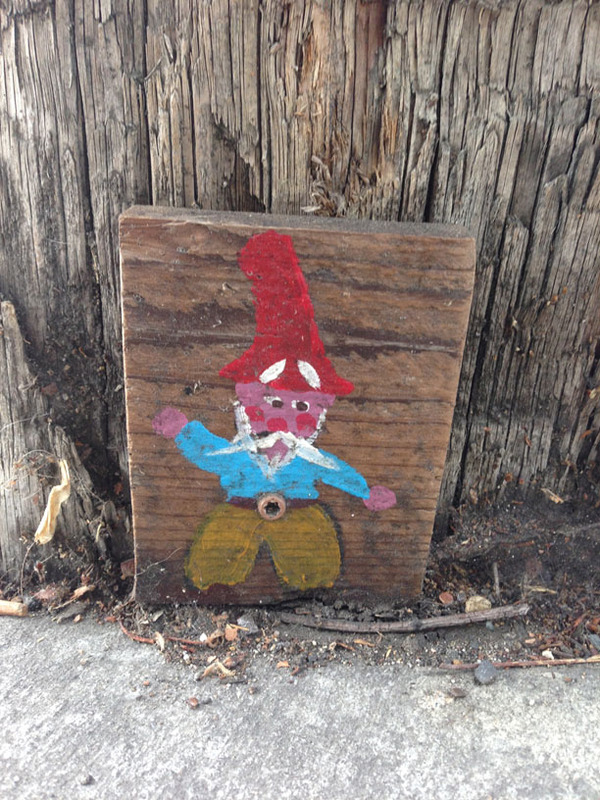 These eyes, tiny little black eyes, belong to gnomes: the Telephone Pole Gnomes of Oakland. They first began sprouting in 2012 in the Lake Merritt neighborhood. 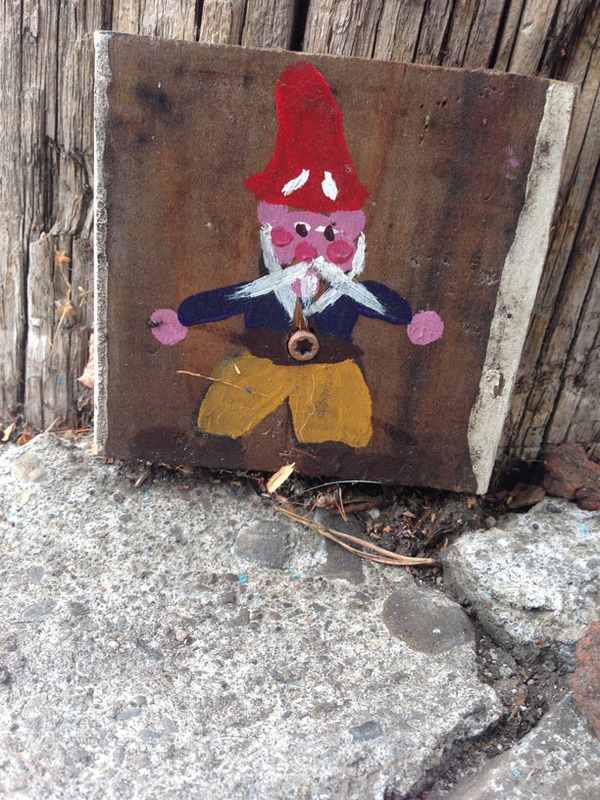 Found always at the base of telephone poles, nearly all of them face the sidewalk, rather than the street, casting a friendly gaze upon passersby. No one knows who created them. Or why. It is believed they are a way to add beauty to the city, or maybe just a sense of whimsy. The artist has successfully remained anonymous while growing his (her?) flock and even while fighting to preserve the beloved gnomes from the predation of PG&E. I’ve lived and shopped in this area since before the gnomes’ first appearances, but I must admit I never noticed them until the PG&E controversy arose. Claiming that the little 4-5 inch high wooden portraits – which are fastened to the poles with sturdy screws – were somehow damaging the poles – PG&E was threatening to remove them in early 2013. Not realizing how much Oaklanders love their gnomes, PG&E was inundated with enough protests that the gnomes were granted a reprieve. 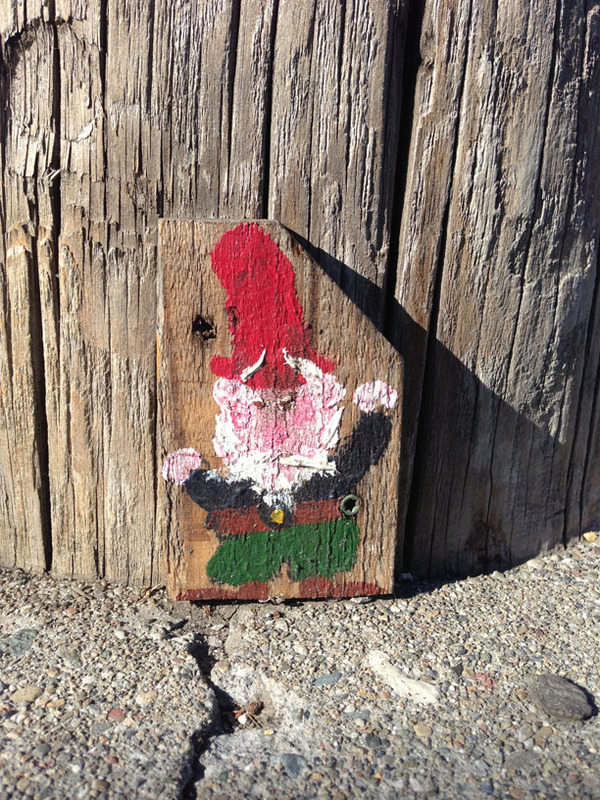 Now, there are reportedly more than 2000 gnomes spread throughout the city. Take a walk, a slow walk, around the city – feel free to pause at one of our ever-growing number of hip bars and restaurants – and, when you pass a telephone pole, be sure to look down. You just might see someone looking back. 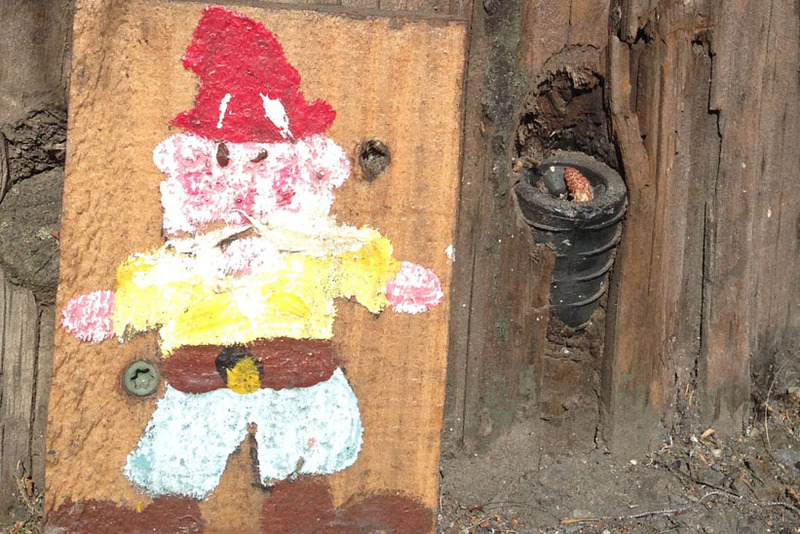 For more gnome photos, and some gnome humor, be sure to visit The Fairy Room.